You can also find us on ebay. Affordable and delicious cakes! My new go-to-girl for all my cake needs! Posh n' Chic Prints is not affiliated with Sweet Occasions. Handmade pi�atas. Made from recycled newspaper and tissue paper. Custom orders welcome. 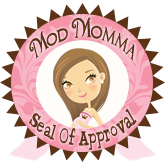 Posh n' Chic Prints is not affiliated with MommyDo Pinatas. Handmade boutique style hair bow. Unique bows to compliment your little girl's outfits. Made with top quality grosgrain ribbon. Posh n' Chic Prints is not affiliated with Aaryn's Bowtique Hairbows. Embellished apparel such as tanks, shirts, onesies, jeans, flip flops, pacifier cases, wipes cases, etc. Dazzling Swarovski crystals and sparkling rhinestones. Every girl needs a little Bling in her life. This designer created the "M" tank in the photos on the zebra invitation page. Posh n' Chic Print is not affiliated with Gift Creastions By Kim. Handmade monogrammed bags, baby items, and specialty gifts. Posh n' Chic Prints is not affiliated with Bags By Bianconi. Chic web design with your boutique business in mind.